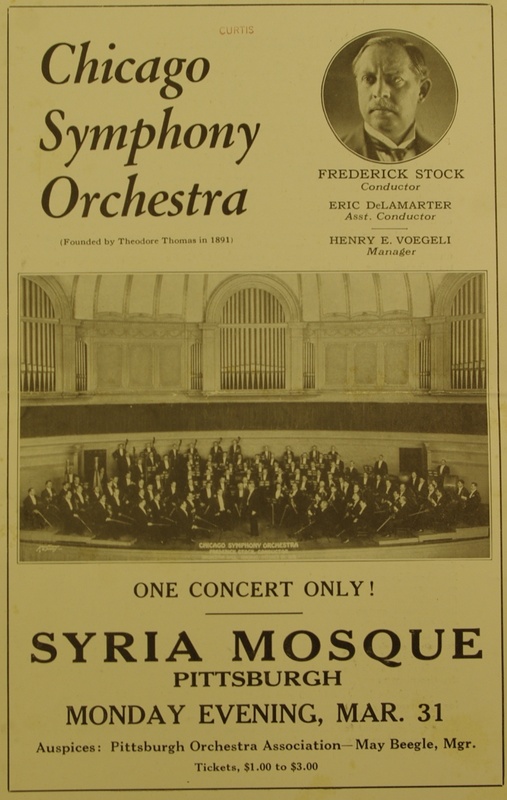 The Chicago Symphony Orchestra under Frederick Stock became one of the top orchestras in the country. Stock championed the works of then modern composers including Mahler, Strauss, Stravinsky, and Prokofiev. This concert would have been a must-see event in 1920’s Pittsburgh.